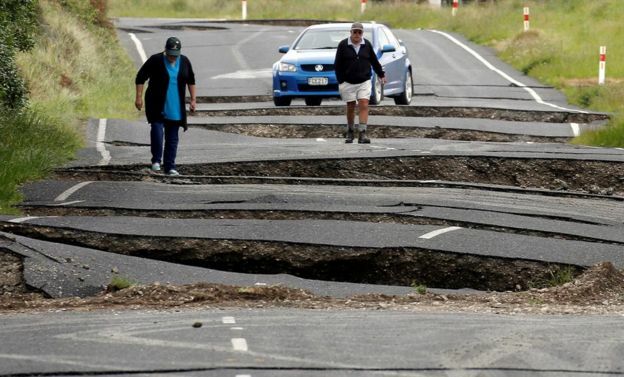 A massive 7.8 earthquake struck New Zealand early Monday morning triggering a tsunami and causing widespread devastation - only two are reportedly dead at this point though. Please pray for no further fatalities. Roads and buildings were destroyed and massive landslides were triggered around the country. The epicenter was northeast of Christchurch.